Connemara marble bracelets features an assortment that includes link and beaded designs along with cuff styles. 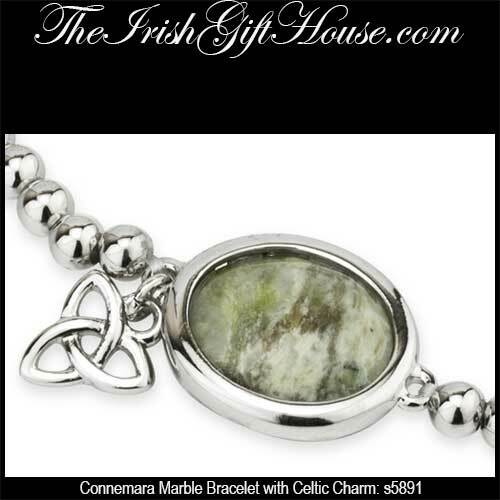 Many of our Connemara marble bracelets feature Celtic designs with the balance comprised of Irish designs that include the shamrock. 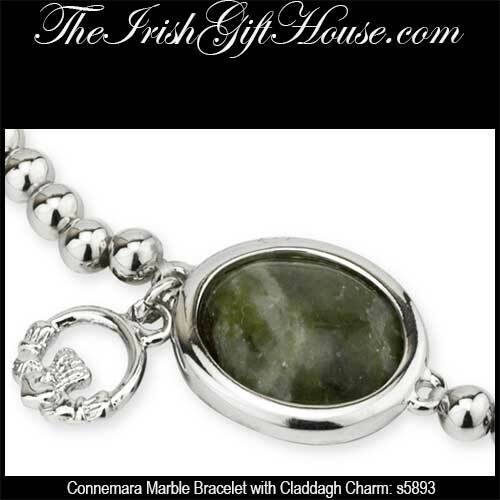 The Irish Gift House offers both plated and sterling silver Connemara marble bracelets and hinged bangles are included in the choices. Several of our Connemara marble bracelets feature garnet or amethyst stones and there is a large range in the size of the beads that are available. 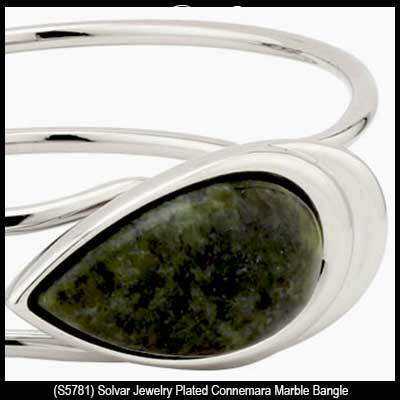 Additionally, the black marcasite stones continue to prove to be a popular accent to the green Connemara marble; you will find this combination throughout this category. 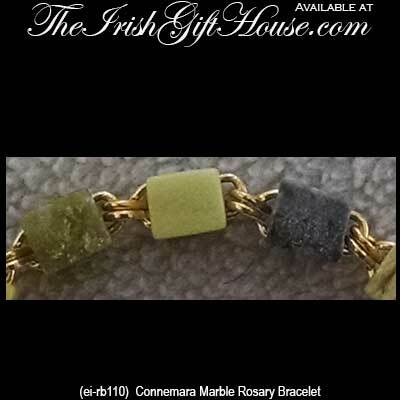 A Connemara marble necklace would augment your bracelet selection wonderfully as would a pair of Connemara marble earrings. 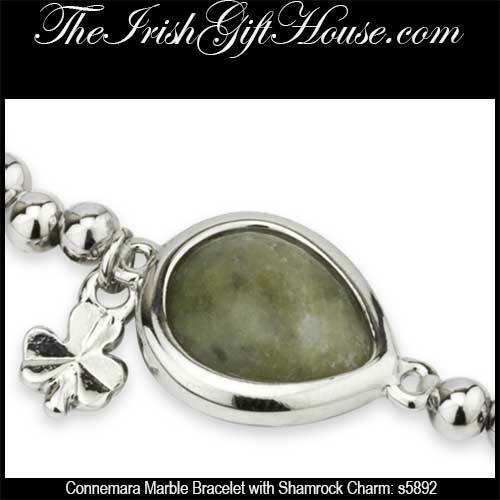 The Irish Gift House is proud to offer this collection of Irish jewelry that includes pieces with notable icons that include the Claddagh and the shamrock. Please also visit our pages featuring the Connemara marble crosses to find a wealth of inlaid and accented Celtic crosses and even the St. Brigid's cross. However, for additional selection of necklaces without Ireland's gem stone you may wish to visit our section that includes our sterling silver Celtic crosses and the Celtic crosses necklaces for men section; these are just two of the choices you will find in the related categories. 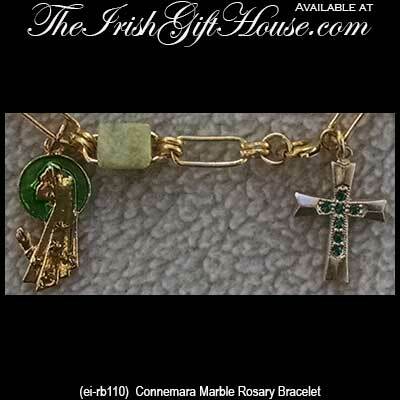 As for the St. Brigid's cross, you will be amazed at the options of choices, that includes charms, that awaits you. 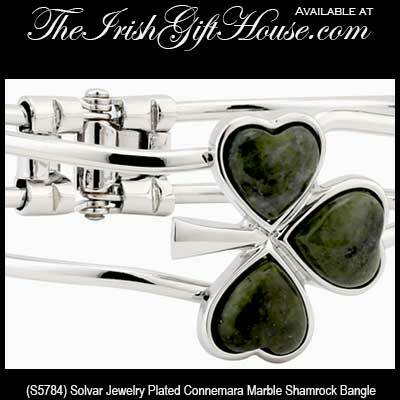 This collection of Connemara marble bracelets was crafted in Ireland by Solvar or by All That Glisters.